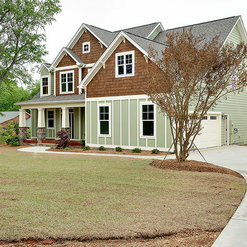 Greenville County Exceptional Custom Home Builders - Best of Houzz! 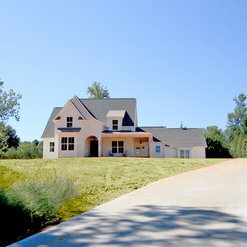 The Mission at Middlehouse Builders is to truly build "Fine custom homes." in the Upstate of SC including Greenville and Spartanburg Counties and the surrounding areas. Tavi Keskitalo established his business on this concept because it is rare to find a homebuilder that has a true love and passion for ones work to build a well-crafted home that will stand the test of time. He knows that quality begins right from the foundation. Following this concept and truly loving his career, he ensures that he or his site manager is on the site of the construction daily and you can tell even when walking through his homes during the starting phases that the job is being done up to these standards. 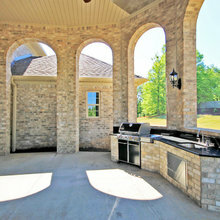 Because of Tavi's start as a framing contractor Middlehouse Builders has the ability to include special features such as archways, trey ceilings, columns and upgraded moldings, to make every home unique. Creating your floorplan for you or working on a floor plan already created, the company ensures that all spaces are well utilized and livable. 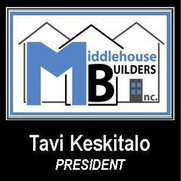 Tavi believes that his customers are ensured of a home that they will enjoy for years to come when they purchase from Middlehouse Builders. With more people choosing Middlehouse Builders, Tavi did not want to sacrifice quality in his homes, so he has brought on his father-in-law, Jonathan Seppala, as a custom home specialist. Jonathan brings with him 40 years experience in all things real estate. 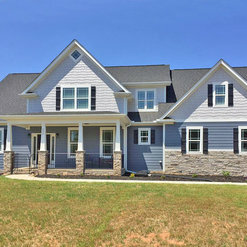 Building a custom home can be a stressful experience, however, with Jonathan's unsurpassed knowledge,you will find building a custom home to be a stress free and rewarding experience. 50 Projects for Middlehouse Builders, Inc.
10 Reviews for Middlehouse Builders, Inc.
From Joanna's designs to Tavi's way of making things come to life... this team does a rock solid job. Their customer service doesn't stop when the house is done. Little things come up when you deal with new construction and they helped us through every little kink along the way with timeliness and care. I would recommend to anyone. This has been the absolute worst experience I could imagine. We are currently 18 months into a 7 month contract. Middlehouse was notified in writing of major issues over 6 months ago. They have not repaired most of the items of concern, and many problems have not been touched AT ALL. Middlehouse refused to complete the final punch list walk through as guaranteed in our contract, and refused to address the issues presented in writing 6 months ago. Stay away from these people!!! I would be happy to show the home to anyone that would like to see their work. We at Middlehouse Builders stand by our product. We strive to exceed our clients expectations and truly put our heart and soul in every house we build, more than any of our clients will ever know. We do take every clients review, communications and comments very seriously. We have prided ourselves in the fact that the majority of our clients are proud to own a Middlehouse Builders home. This review comes when we are still actively on your job giving it our all, to meet your expectations. To date, we have had 2 different supervisors, along with us, as owners on your site fixing all your requests. We have replaced trimmed fully once, we have repainted the home twice, and we currently have another of our skilled craftsman with over 20 years experience working on your trim-work. We regret that this review was released in such a public forum and as such, we cannot do anything but respond publicly. We will continue to strive to meet and exceed your expectations and are truly hopeful we can resolve your grievances so that you and your beautiful family can enjoy and take pride in your Middlehouse Builders home for many years to come. Middlehouse Builders were very flexible in the build process and met all of our expectations. They have continued to support any items that required fixing which were very few. Bought one of their homes. 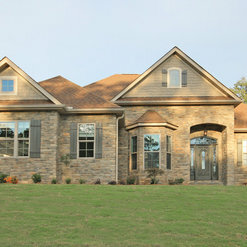 Middlehouse Builders, Inc. built our home in 2013. We bought it in 2014, when it was only one year old. The previous owners worked directly with Middlehouse Builders and shared with us that they had a great experience with them. They hated to leave their dream home, but they had personal family issues that caused them to move. This home is truly a dream with unique touches that I haven't seen in other homes. I was impressed with the quality and attention to detail. They did an amazing job and I would absolutely hire them again. Great job. I bought one of their spec. houses. Middlehouse pays attention to the small things in a house that makes it more appealing to the eye. Mouldings that are a little different, overhanging counter tops with unique supports that match the cabinets. Some of these little things that make their work stand out. They are willing to listen to suggestions that the buyer has, because its the buyer that will live with the results. 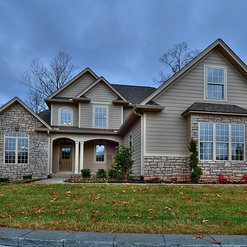 After much house shopping in Greenville, SC, we decided to build a house with Tavi K. and Middlehouse Builders. My wife had specific needs and design expectations. 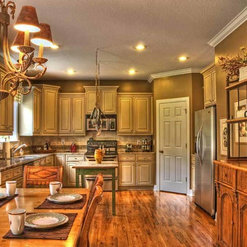 She wanted a wide open living room, dining room and kitchen area. It needed to be 43 feet from the front left in the living room to the back right corner in the kitchen. There would be no kitchen cabinets as my wife was too short to reach them. Needless to say, there were more specifics. Tavi present a design plan of a well known architect who we knew. He made modifications to an existing plan and my wife got every thing she wanted. We are 100% satisfied for the last five years. 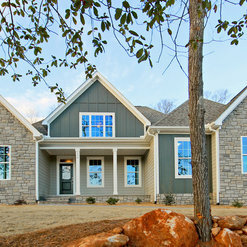 Middlehouse builders built our new home and we love it! Tavi Keskitalo is easy to work with and a very good builder. Inspections go smoothly and he is very accommodating when you want to make a change during construction. This is the 4th house we have had built and I would build another one with Middlehouse. Except we don't plan on moving for a while!! 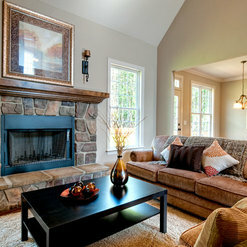 We have received many compliments on our home and I just love how energy efficient it is. 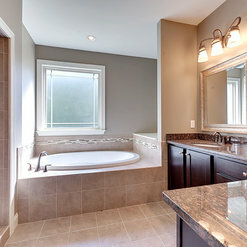 Our utility bills have been extremely low and I believe that is due to his high standards and quality in construction. I would definitely recommend Middlehouse Builders Inc. The Middle House Builders team is the best I have ever worked with. From design to build, they truly are able to meet your needs. With their hands on approach to building it is a pleasure to work with them. I would highly recommend the team at Middle House for next project. Middlehouse completed our 4800 sq ft home in December 2012 and we were very pleased with not only the result, but the entire building process. My husband and I are very detail oriented people (engineer & accountant) and as is common with most custom building we had our share of unexpected technical issues. Tavi was pro-active in finding mutually agreeable solutions and in many cases delivered more than we expected. Tavi takes a great deal of pride in delivering a high quality product and was always eager to make sure we were happy. We would be very pleased to recommend him to friends or family building a home. 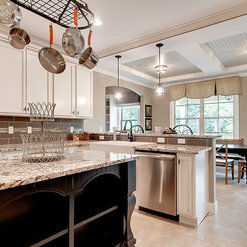 1 Ideabook for Middlehouse Builders, Inc.